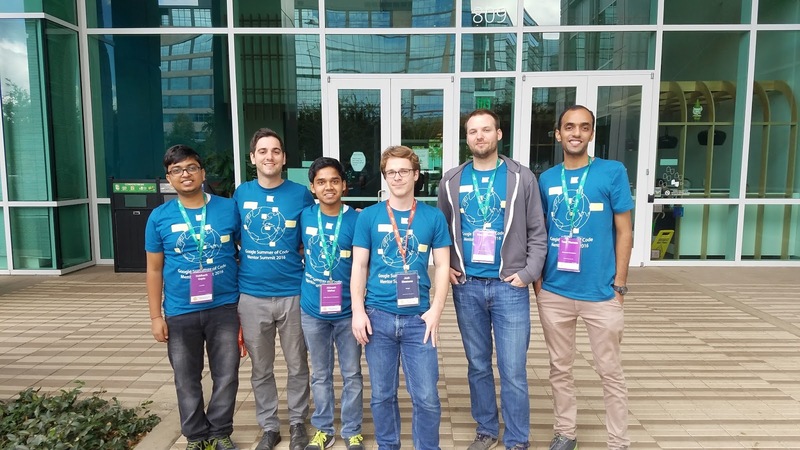 This is the fourth post in our series of wrap-ups and guest posts from participants reflecting on Google Summer of Code (GSoC) 2016. Explore the first three posts and stay tuned for more wrap-ups and announcements. and Hurd kernels for devices ranging from mobile phones to large clusters. Being a wide umbrella project, Debian offered a diverse array of opportunities for Google Summer of Code (GSoC) students. For example, students worked on making our distribution more trustworthy (reproducible builds), porting our OS to Android devices and improving infrastructure for developers. This year I joined the Debian Real-Time Communications (RTC) mentoring team which engaged 13 students to improve voice, video and chat communication with free software. JSCommunicator is now being adapted for use with content management systems (CMS) and blogging platforms, making it easy to embed rich communication features in existing systems. It was this work that our current GSoC students built on. This year I mentored GSoC student Mesut Can Gurle who used DruCall, a Drupal module for integrating JSCommunicator, as inspiration for building WPCall for WordPress. With this new plug-in, standards-based voice, video and chat is now available on the world’s two most popular CMS without the need for browser plugins. The way WPCall was extrapolated from the DruCall plugin provides a pattern that other communities can follow to rapidly create WebRTC plugins for their own web frameworks. The JSCommunicator Integration Guide provides step-by-step instructions that developers and future students can follow. If you’re interested in learning more about significant developments in this space, please subscribe to the Free-RTC Announce mailing list and follow planet.freertc.org. This was my first year as a GSoC mentor and I had such a great experience. It was rewarding working with Mesut on achieving his goals and we learned a lot along the way. Despite some setbacks (he narrowly missed a bombing as his country experienced an attempted coup), Mesut has made valuable contributions to free software. As the summer wound down, I received an invitation to participate in a t-shirt design contest for the annual Mentor Summit. I thought it would be fun to try and put together a design focusing on GSoC’s key values. The front of the t-shirt shows developers from all over the world collaborating on free software, representing the amazing scope and diversity of the projects. On the back, above the clouds, a space shuttle symbolizes what’s achieved through GSoC. 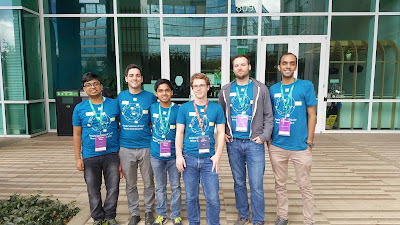 A group of attendees wearing the Google Summer of Code 2016 Mentor Summit t-shirt. Happily, my design was selected and it was great seeing all the attendees wearing it at the Mentor Summit!